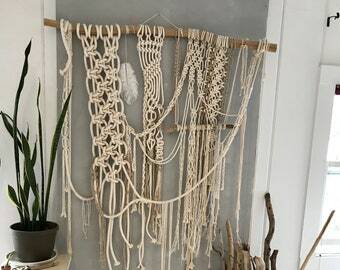 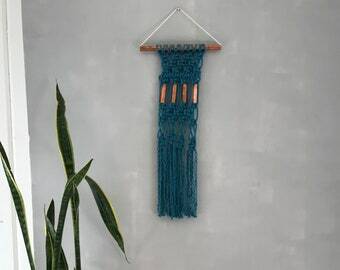 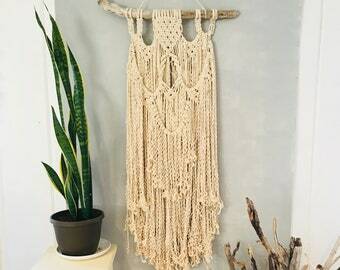 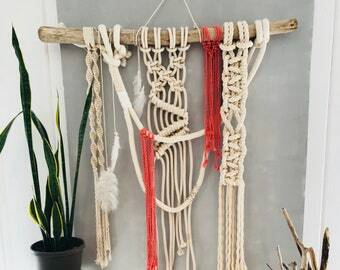 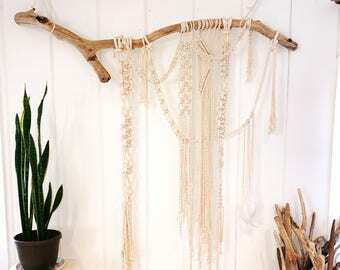 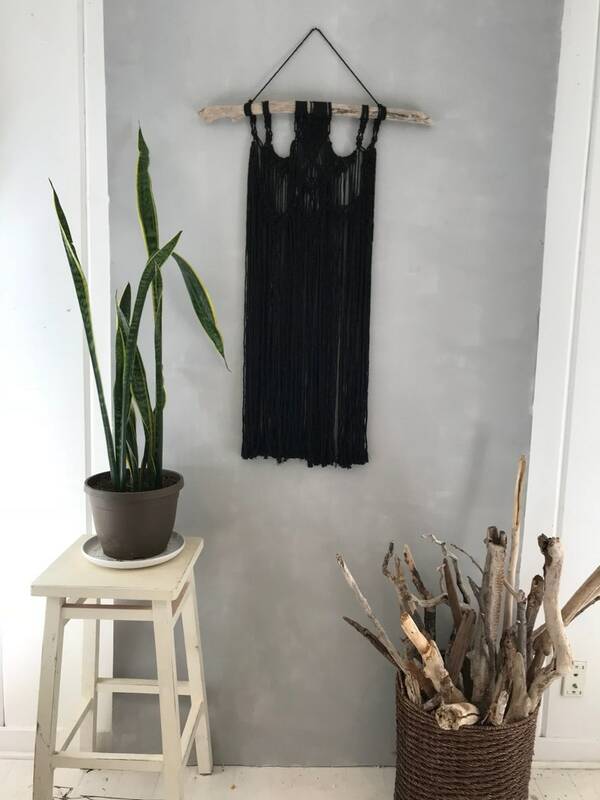 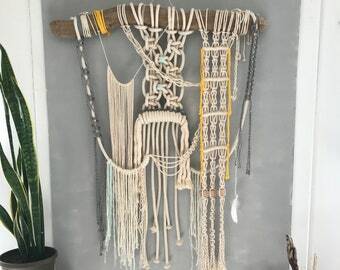 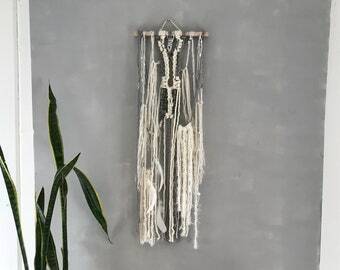 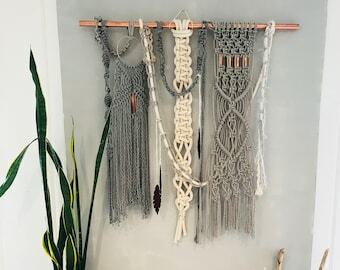 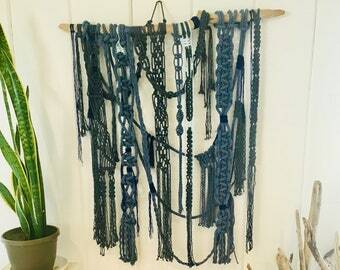 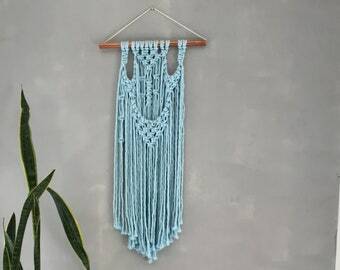 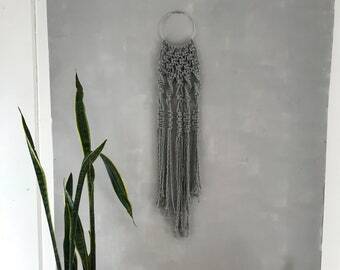 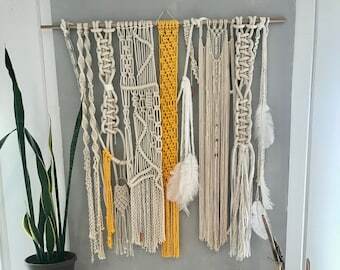 This ethereal wall hanging is hand-woven macrame on a beautiful piece of driftwood. 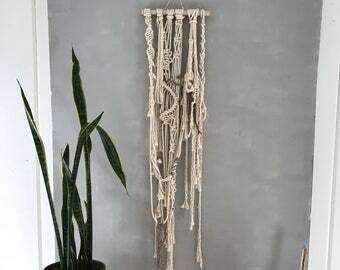 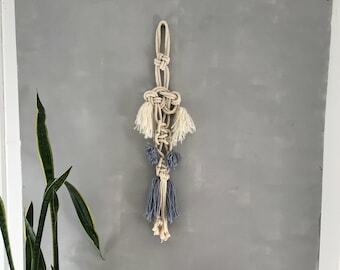 Soft ropes are lovingly woven together to create a serene and peaceful wall hanging. 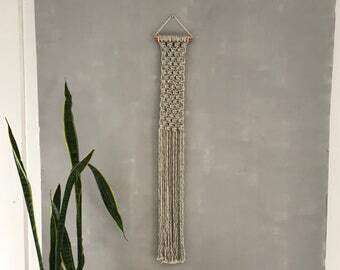 Would look great over a bed or as a statement piece on wall or door.